What will you answer him? Well… there are some options and it depends on a few factors you will say and that is correct. I want to bring to discussion all this moments when we talk about best steroid cycle. If you are one of those who looks for best steroid cycle read this article as it will open you eyes to some points which you may have not considered before. 1. How old are you? That is very important to consider before you listen to first advice you hear in the gym. For example if you are not even 24 don’t even think about using steroids as you still must grow if you train and eat correct. If you are over 50 you must check your health before using some products which may cause prostate enlargement, high blood pressure and gynecomastia may only be some of things which can happen. Each steroid works different that is why it is important to know your health situation to know what can be used and what can’t. 2. What is your goal? You want to get shredded? You want to get a few lbs of muscles? Or you simply want to bulk up? Now attention! You can achieve any of these goals with different steroids so before taking first adviced check question #1 How old are you and what is your health state and according to this adjust what you take and dosages and training and nutrition. 3. Have you taken all possible from natural training? Some may wonder why did I include this here and I will tell you why. Because I see too many young guys who simple come to you and ask “what are you using right now?” I look at them and think what makes them wanting to use steroids at this age and answer comes immediately lack of knowledge. Guys steroids are only %10 of success, rest is training and nutrition. Print this and remember it forever. Until you have not taken maximum results from natural training dont use steroids. Now let’s imagine you have between 25-35 years and want to give a try to steroids and see how they works and how your body will react to them. I will post here a few safe steroids cycles. Primobolan is one of the safest injectable anabolic steroids. That is why I recommend using it. This cycle is safe but in the same time don’t expect to become super huge after doing it. You can add here Anavar or Dbol and testosterone. One of the most popular and recommend as a first steroid cycle is testosterone steroid cycle. Here is a chart which shows how testosterone must be taken. That’s all for today, stay safe! Among bodybuilders and many newbies who just came to the gym is often discussed idea of doing a cycle of steroids. Sometimes it is inspired by others sometimes you just think you reached your natural growth potential and just want to add some gear to make it better. Firstly let me say that if you can’t grow naturally at least 15-20 kgs in 1-2 years you DON’T NEED STEROIDS but need to analyze your diet and training routine as there is hidden secret to success in muscle building. Cycle of steroids may be done only after you have enough experience and knowledge about natural training, foods, recuperation and different methods to increase intensity of your training thus results. Now, if you have enough knowledge on what we talked about previously it’s time to do your homework on anabolic steroids because as everyone knows “knowledge is the power” so before taking any cycle of steroids read as much as possible on some trustful web resources (like this blog or hypermuscles.com forum). One of the most popular among beginners is oral steroid cycle consisting only of dianabol (known as dbol, naposim, gp methan). Many of these people say they are afraid of syringes and that is why they want to go with orals. Firstly let me tell you that there is nothing to be afraid of syringes and if you can’t put an injection by yourself there is always someone who can help you. And second thing I want to tell is that only oral dbol cycle will bring very temporary results. You will get a lot of water retention, strength some muscles but once cycle is finished you will lost 90% of everything. And it is worth mentioning here that dbol is not good to take over 6 weeks and over 40mg/day. You will loose almost everything because you did not stack dianabol with something else like testosterone and here we go to second chapter. There are people who use only injectables in their cycles because they don’t want to hurt liver anyway with orals. Well, that is a good way to go and there are plenty of stack which will make you more than happy. Most popular and recommended is Testosterone Stack for 12 weeks. It is best cycle for beginners and you can read in this article full description how it is used plus you have a graphical scheme which shows you in details how to do your first testosterone cycle. This option is one of the most popular and it brings best results because you stack many different compounds which works different way. And here we come to our stack of testosterone and dbol. This stack is also very good for beginners and bring very very good results in combination with hard hard training, 2,5gr of protein per 1kg of bodyweight and enough rest. Testosterone and dbol cycle article + diagram. In order to make it safe you will need to use such products like: Liv52, Essentiale or Milk Thistle, all of them are made to protect your liver. Use the one you have access to and take it before during and after cycle. On next cycle you can use another one. These products are especially important when you are run oral steroids like Dbol which are 17 alpha alkylated and affect your liver. Be on the safe side. 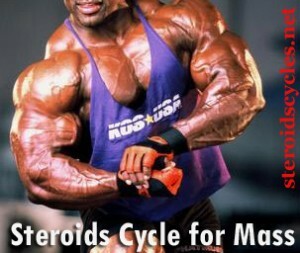 Hi guys, today we continue subject of steroids cycles for mass and steroids cycles for beginners. I will not describe each product detailed as you can read about any of them on my previous posts. Testosterone is king of mass building so it will be present on this cycle too. In this cycle we will use Testosterone Cypionate however that is not a problem if you replace it with Testosterone Enanthate. 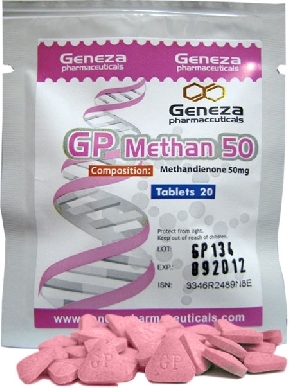 Dbol(methandienone) will be used first 4 weeks of this steroid cycle to kick in. Deca-Durabolin (Nandrolone – Decanoate) – is one of those drugs which are popular especially among beginners and is mostly used for its anabolic capabilities. Deca-Durabolin causes the muscle cell to store more nitrogen than it releases so user will achieve a positive nitrogen balance. Another positive effect of deca-durabolin was reported by many bodybuilders who prior using this drug experienced pains in joints but once using it they started to enjoy training with no pain and that is attributed to deca’s ability to store more water in connective tissues. However there are some moments which must be known by you before you start using nandrolone decanoate, it has a very strong effect on decreasing your sexual drive and it can cause gyno in some individuals. So have Nolvadex (tamoxifen citrate) on hand in case you feel gyno symptoms. Usually I am not writing a lot about PCT due to many factors such, as used drugs, person’s ability to recover, other supplements used etc. However in this article I will underline some important factors on Post Steroids Cycle Therapy. HCG (human chorionic gonadotropin) – best way to use it is during the cycle in order to maintain testicular size or to bring atrophied testicles back to normal condition. Do not use it after cycle with clomid and nolvadex as things may worsen because of high amount of testosterone and oestrogen. Best way is to use it in small doses during a steroid cycle. It is worth mentioning that HCG usage should be stopped 2-4 weeks before you start PCT with Nolvadex or Clomid. HCG may aromatize in your body heavily than on other individuals so I would recommend taking an anti estrogen if you will shoot high dosages (more than 500iu/week). So in this case best way to use HCG is 250ius twice a week. You can inject it after first 4 weeks and then 4 weeks later, so it will be on 8 week of cycle, 4 weeks prior PCT. Disclaimer: Discussion of pharmaceutical agents below is presented for information only. Nothing here is meant to take the place of advice from a licensed health care practitioner. Consult a physician before taking any medication. So you want to create the perfect cycle for yourself. So how do you go about this? Well there’s a lot of things you need to know before you can sit down and create yourself a perfect cycle. The most important thing you need to know is what your EXACT goals are for THIS cycle. From here you can figure out exactly what steroids are right for you and at what dosages. So what about steroids, ancillaries, and other drugs do you need to know? You need to know the basics of the most popular drugs available. There are of course many other types of steroids, ancillaries and sports enhancing drugs, but they are extremely rare. I won’t go into a full discussion about each of the drugs above, but will just list properties of the drugs and state which steroids have those properties. Ok so now that you know what drugs do what, we can begin to discuss what properties a cycle should have. From there we can begin to see how these drugs can be combined to form a “stack.” The idea behind the stack is to create a synergy between the drugs involved to give an effect that’s greater than the sum of the parts. These are cycles were all out mass is required. Here we give no consideration to fat gain, water gain or any of that stuff. We are just looking to pack on as much muscle as possible (don’t forget, water and fat are GOOD for muscle gains). To get all out mass, we need to attack our system from all angles. We need steroids that are highly androgenic and highly anabolic. We need steroids that are known to pack on a lot of mass. In general, steroids that do not aromatize, do not activate the AR and do not pack on a lot of mass aren’t needed. For injectables we would rather have long acting esters than short ones, as the long acting esters tend to pool up in your blood and generally leave you with more hormone at any given point. For orals we prefer those that either aromatize heavily, or cause an explosion of mass by similar estrogenic properties. The use of orals is mainly to kick off the mass cycle, gives you near instant results and puts your body in a good anabolic state when the long acting esters kick in. With all that said the best steroids for mass are: Test Enan, Test Cyp, Deca, D-bol and Drol. Advanced users can also use things like Insulin and GH. Realize that with the exception of Test, Tren and Anavar, no steroid has a direct impact on fat burning. Even Test, Tren and Var have limited effects on fat burning. You shouldn’t go into a cutting cycle with the mindset of “These steroids are going to help me loose fat.” Instead you should think of the steroids as muscle sparring. Basically you’re using them to preserve the muscle that you have, while cardio and your true fat burners (like Clen, DNP and T3) work on the fat. All steroids listed above meet the first requirement; they will all help you retain muscle in a calorie deficient diet. However, if you are cutting you certainly do not want your steroids to be in the way either. Some steroids (drol) actually make it harder to loose fat. Others can bloat you up so bad that even with a low body fat percentage, most of your definition can be lost. So what we need here is steroids that are more androgenic than anabolic. We need steroids that have direct fat burning properties and steroids that do not aromatize heavily. If we do use a long acting ester, we would prefer to use one that doesn’t aromatize heavily, if the injectable does aromatize significantly, we would prefer to use a short acting ester as short acting esters don’t pool up, and an anti-aromatase would be a good idea. Now I can’t claim that I know what’s really best for a non-bodybuilding athlete. But I can take a guess and you guys that do participate in sports can probably figure it out given my explanations. First let’s look at sports that require strength without increased mass. Obviously any “mass builder” is out the door. Any steroid that aromatizes heavily is not desirable here, as the extra water will certainly make you put on weight. Your best drugs for this purpose would be: Halo, Winny, Var and GH. If you can afford a few extra pounds (like in the offseason or what not), Tren would also be a good steroid. Now let’s look at cycles for sports that require endurance. As we’ve discussed before, some steroids increase red blood cell count significantly; this equals better endurance performance. The best drugs to use for this purpose are EQ, GH and EPO. Because EPO can have such a drastic effect on red blood cell count, it is NOT recommended that you use it along with steroids. When you use any steroid, your HPTA will be suppressed. What this means is that your system is not producing any endogenous testosterone, which means you won’t have any hormone to help maintain your gains. What good is a cycle if you can’t keep your gains? So the key to cycling is to get your endogenous test back on track ASAP. One thing that will hinder HPTA activation is excess estrogen, whether it is from aromatizable steroids used in your cycle or whether it be endogenous estrogen. Using anti-estrogens like Clomid and Nolva will help prevent this negative feedback. When your body sends out LH (leutinizing hormone), it signals your testicles to begin producing test again. During your cycle, LH release will be suppressed and will remain suppressed for a few weeks after your cycle. HCG mimics LH and helps your testicles start producing testosterone. For our purposes we should view HCG as a “bridge” between your cycle and the time your LH returns to normal function. However, HCG when used to heavily or for too long will actually suppress natural test production so it can be counter productive. Different cycles will suppress your HPTA to different degrees. Cycles including Deca and Fina will be more suppressive than cycles including Var and Primo. I don’t have the energy to design a post cycle therapy for each cycle, so I will post here a post cycle therapy program that should help you recover from any sane and sensible cycle. Before we outline the universal post-cycle therapy, we need to define when a cycle officially ends. If you are using long acting esters, your cycle ends 2-3 weeks after you take your last shot of the long ester (I wont explain why, just accept it). If you are using ONLY short acting steroids OR your last shot of long acting steroids was over 3 weeks ago, and the only thing you’ve been running since then is short acting steroids, then your cycle officially ends the last day of administration of your steroids. This one and next one are very popular steroid cycles especially among beginners. Beware! There are sites which either sell fake products or take money and dont send you a thing! Testosterone is main male hormone so this is always base of any testosterone cycle. 1-4 D-bol 30mg/day. Do not listen to anyone who says 30mg/day is not enough. PCT is a must after any steroid cycle. 1-10 Deca Durabolin – 2ml/week. Deca must be stopped 2 weeks before testosterone. This is one is a hard mega xxl bulking cycle 🙂 lol for the name but really these products will make your body retain lots of water and most of it will be out once cycle is finished, not best idea right? This is a cutting cycle, used to cut up, to tone up and prepare for summer or a contest. Usually a workout full of super-sets is followed for a better cutting effect. PCT is a must after any steroid cycle. PCT helps body restore natural testosterone production as fast as possible. Summer is almost here and many of you started to cut carbohydrates, do more reps, supersets and now you think about a good cutting steroid cycle which will help you build a better quality muscles and in the same time keep the ones you have if you are on a diet. SteroidsCycles.Net Team prepare for you a good cycle based on Trenbolone Acetate, Testosterone Propionate and Winstrol. 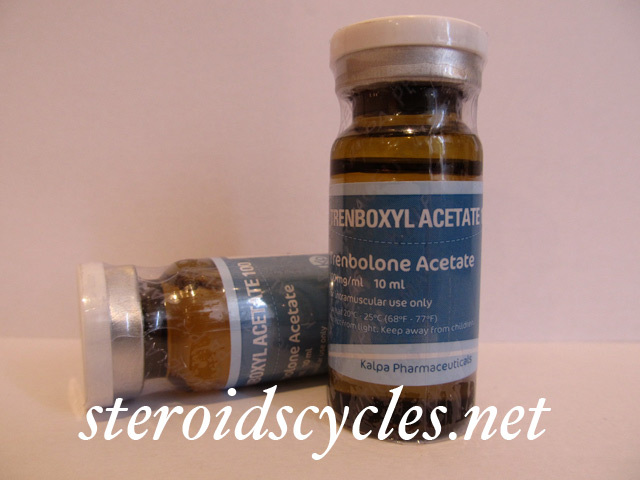 Trenbolone Acetate – has strong anabolic activity. It is good for the quick buildup of strength and muscle mass, usually giving the user great results in a relatively short time period. The anabolic effect of this drug is often compared to popular bulking agents such as testosterone or Dianabol, with one difference – trenbolone does not convert to estrogen. Testosterone Propionate – is mostly used for cutting cycles and it will not retain water. Strength and muscles increase are guaranteed. 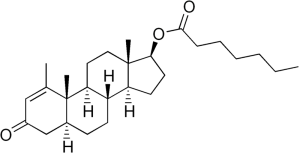 Winstrol – is an anabolic steroid, a synthetic derivative of testosterone. It provides quality muscle growth. For this cycle you can use either injections or tabs. Masteron is one of preferred steroids for contest preparation or before summer. It is the one which you would like to use when you don’t want excess water retention and steroid aromatization. Because of his androgenic effect it will give you that energy during workout and hard muscle look. 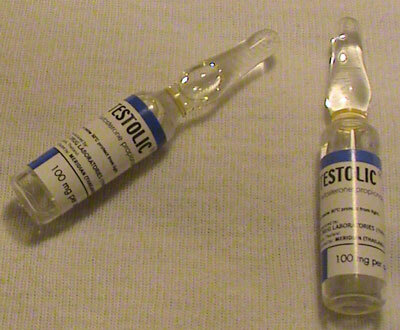 The normal dosage of Masteron is 100 mg which is to be injected every other day(EOD). It is best to inject Masteron every 2-3 days because it has a short duration of effect. For cutting purposes it can be stacked with such steroids as: Winstrol, Anavar, Primobolan, Testosterone Propionate or Equipose steroids. There are people who tried only masteron cycle with no other products but for better results would be great to stack it with additional anabolic/androgenic steroids. Here is an example of Masteron Steroid Cycle. Discuss this steroid cycle on forum. Deca Durabolin Cycle is what we will talk about today. 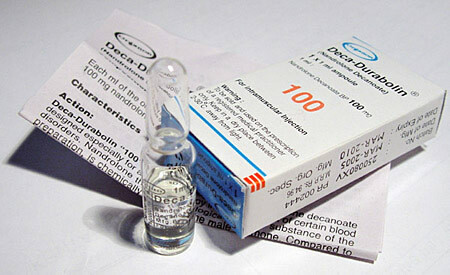 Deca Durabolin was and still is very popular injectable steroid. Most people preffered deca because it is possible to stack it with almost any other steroid and get desired effect. I’ve heard a lot saying that if you can’t grow on test, dbol and deca you will not grow on anything else. These steroids are used in most cases for bulking purposes. Deca Durabolin is mostly anabolic than androgenic which means it can stimulate protein synthesis very efficiently. As every steroid deca durabolin has its side effects too and one of the most important is it shut downs very much HPTA so it may take some time for some people to get their natural testosterone production back so ALWAYS use testosterone with your deca cycle and stop using deca prior 2 weeks before you stop taking testosterone. Today you can buy Deca Durabolin on many steroids sale shops and made by different companies like Axiolabs, Geneza Pharmaceuticals,Syntrop,Sciroxx and many others but before buying be sure to check if the steroid shop you want to use has at least a few references to proove they are good to go. Deca is injectected as any other injectable steroid and best way to take it are doses of 400-600mg per week. Download PDF version by entering your email below.